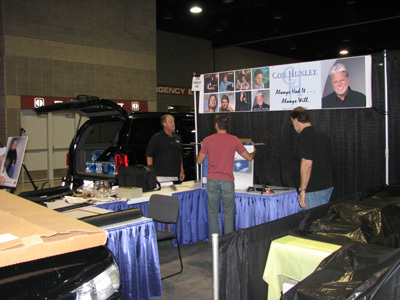 It's setup time and some of the hardworking IMMI team is scrambling to get Con Hunley's Booth #439 ready for action at the 2006 CMA Fan Fair Exhibit Hall at the Nashville Convention Center. 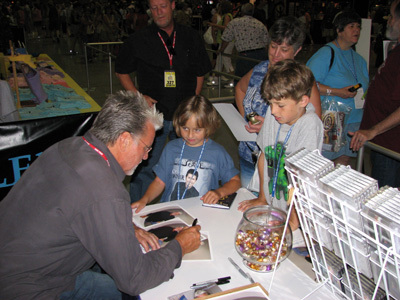 Fans of all ages stopped by the booth at Fan Fair to meet Con. 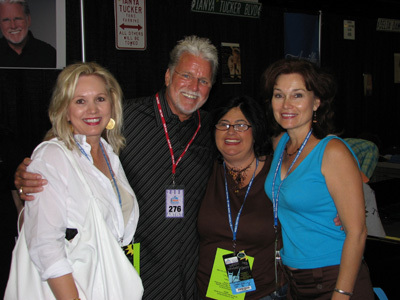 Once again this year, the "Georgia Peaches" stop by to visit with Con and pose for a photo. Con's favorite part of Fan Fair is visiting one-on-one with the fans. Con's booth was a busy place all during Fan Fair, especially whenever he was in it! 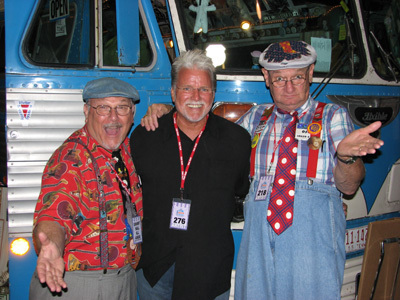 Con with a couple of characters in front of the Martha White / Grand Ole Opry tour bus. 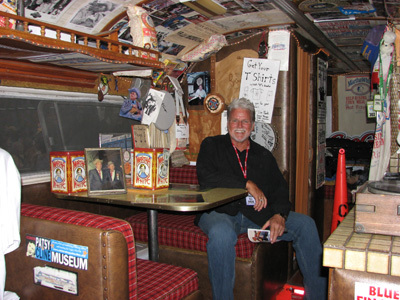 Con on the Martha White / Grand Ole Opry tour bus. 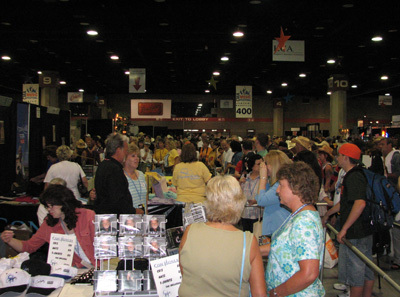 Hundreds of fans visited Con in his booth while he was there signing. Fans bring Con the funniest things to sign sometimes! 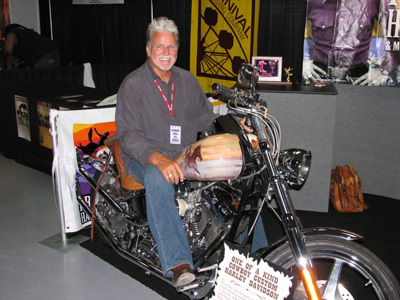 Con checks out the cowboy custom Harley at the Pro Rodeo Hall of Fame Booth. More images of Con with fans at his booth. 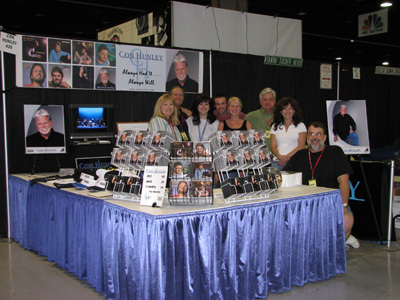 Click here to watch a short video clip of the goings-on in the convention center where Con tirelessly signed autographs and posed for snapshots with fans and other celebrities. Some of the IMMI team poses at Con's Fan Fair booth. Another great CMA festival wraps up!